More than 5 million Americans are living with Alzheimer’s leaving no segment of our community untouched by this disease. It is the sixth-leading cause of death in Oregon and the only one for which there is no way to cure, prevent, or even slow its progression. More than 62,000 Oregonians are living with Alzheimer’s and by 2025, that number is expected to increase by almost 40% to 84,000. Therefore, it requires coordinated efforts to address this growing public health crisis. In 2010, the SPADO Task Force was formed and included non-profit organizations, state government agencies, academic researchers, issue experts, physicians, family caregivers, care providers, and state legislators. The SPADO Task Force heard public input from a variety of sources. This input informed and validates the five recommendations included in SPADO. In 2012 SPADO was released. A. Increase public awareness about Alzheimer’s disease. B. Create a website that provides a single entry point to link to existing information and resources. B. 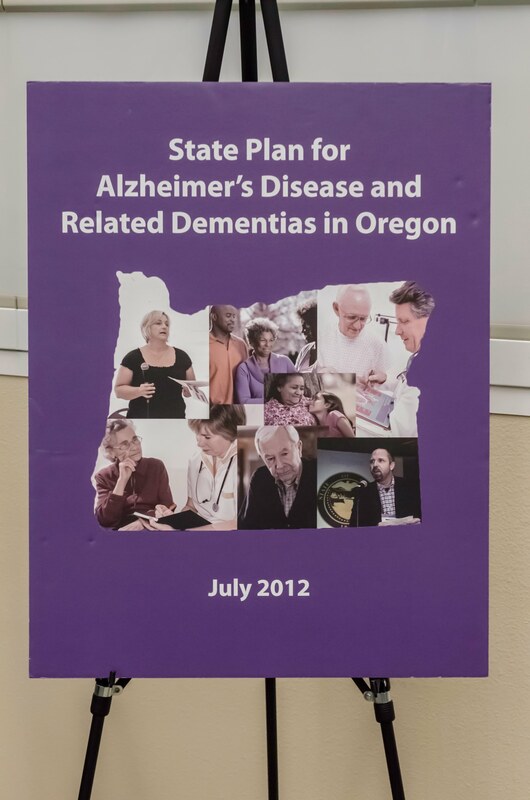 Ensure that Oregon has a dementia-capable licensed health care workforce. A. Require that all Oregon guardians receive training on dementia. B. Expand capacity to protect the safety and well-being of individuals with dementia. A. Develop appropriate care settings and services for persons with dementia who require a higher level of expertise and staff. B. Increase access to medical care providers who serve those with Alzheimer’s and related dementia. A. Establish a coordinated data system to improve Oregon’s ability to plan for and provide effective resources. B. Expand existing dementia research and participation in Oregon research efforts.